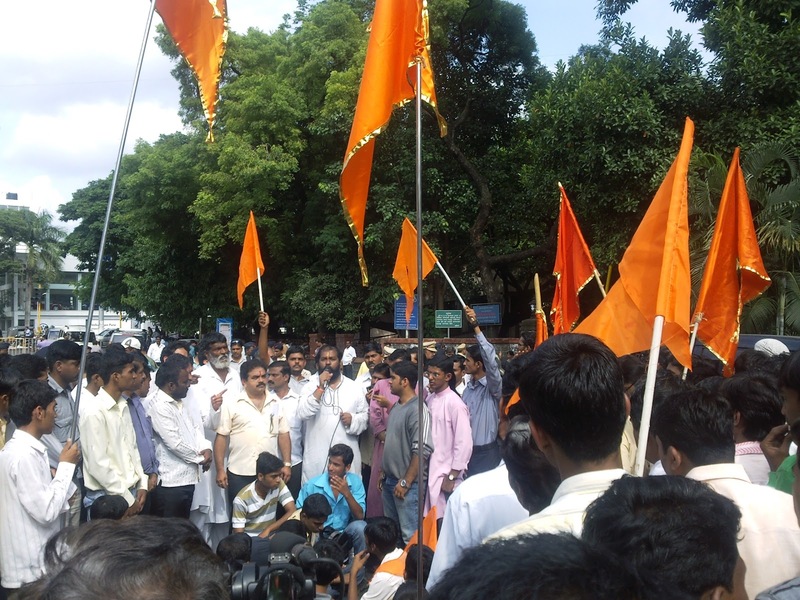 Shiv Bhakta and Other Organization Protesting against Pune Mayor Mohansingh Rajpal in front of PMC on 26 August 2010. 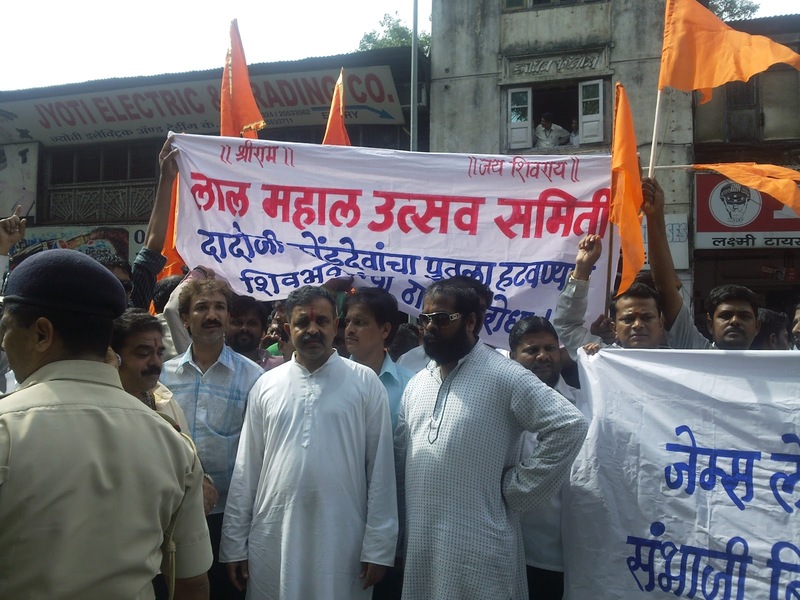 After Pune's Mayor Mohansingh Rajpal's order to remove statue of Dadoji Konddeo from the historic Lal Mahal, which was the residence of Chhatrapati Shivaji Maharaj, within 24 hours. There were tremendous reaction from all youth in Pune. All Shivaji Maharaj follower had shared their anger with various medium. You can check various orkut & news sites comments, with various argument to prove that decision was blunder mistake. Youth from Pune are so angry with this kind Politics of Shivaji Maharaj name. I don't want to use any name of organization, but those who have good understanding of cast based politics, are aware of dirty plans of these people. This things happening from last hundred of years. But still their is less awareness on real issue. 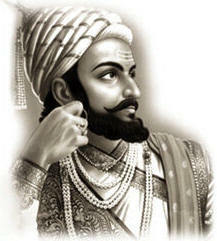 My personal opinion is, no one should use Shivaji Maharaj's name for personal gain or cast politics.